Cultural Front: What if poets published sequels? What if poets published sequels? At the end of the year, commentators noted that the movie industry's record-breaking box-office results in 2013 were driven by sequels. Some of the highest grossing films -- Iron Man 3, The Hunger Games: Catching Fire, Despicable Me 2, Monster University, and Star Trek Into Darkness -- were follow-ups to previous movies. What if poets produced sequels or follow-ups to previous volumes of poetry? Or, what if they even produced individual poems that picked up where others left off? What if, for example, Elizabeth Alexander produced a sequel to her well-known "The Venus Hottentot" poem? During the Q & A this year, audiences should have asked Adrian Matejka and Jason McCall, about sequels instead of next projects. 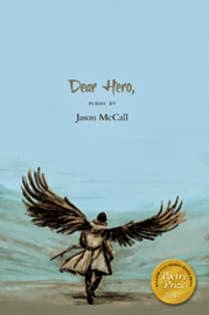 McCall's book Dear Hero, was, after all, about superheroes, so he would've been prepared for an answer. Matejka's The Big Smoke about Jack Johnson was a finalist for a National Book Award. Why not follow-up? We in fact have at least one model for sequels in poetry. Frank X. Walker published Buffalo Dance: The Journey of York (2004) and then published the follow-up When Winter Come: the Ascension of York (2008). Given the many persona poems and volumes on historical figures in contemporary African American poetry, it seems that several figures would be waiting for reprisals. Quraysh Lasana re-presenting Harriet Tubman, Monica Hand extending her work on Nina Simone, or Rita Dove doing a follow-up to her Pulitzer prize-winning Thomas and Beulah (1986). Maybe Kevin Young could offer a Black Maria 2; Thylias Moss could produce a Slave Moth 2; even Patricia Smith might provide a Blood Dazzler 2, offering more updates on New Orleans after Katrina. Imagine Natasha Trethewey producing a sequel to her sonnet sequence "Native Guard" or Marilyn Nelson and Elizabeth Alexander providing an extension to their collaborative volume Miss Crandall's School for Young Ladies & Little Misses of Color (2007). Amiri Baraka poem "Dope" about a black preacher (or black preachers) who urges his congregation to "put yo money in this plate" remains popular among students. But, Baraka wrote the poem decades ago. Now, in the age of the black megachurch, what would an update to "Dope" look like? Of course, I doubt that we'll see many poetry sequels. Poets are interested in creativity and new artistic interests, which often leads them to new projects. By contrast, the movie industry is driven, in many ways, by the bottom line, how films do at the box office. Still, it's worth speculating what the sequels of some of our favorite volumes might look like. Interesting idea. I think this could really work for narratives. I see already see poets using at least the same type of characters in their narratives repeatedly. I don't think it'd be a stretch to think about them more sequentially. I was thinking about something similar when I saw Kevin Young's To Repel Ghosts Remix. I really dig the idea of poets releasing work like musicians, with sequels, remixes, singles etc. I think it offers more flexibility, at least on the publishing side.